When I begged for suggestions for things I could bake as farewell gifts, my sister came through with the goods – as she always does. Soon I’ll post the heavenly chocolate Guinness cake she swears by, and I also couldn’t resist the simplicity of her lemon butter recipe. Lemon butter is one of those things I’d never quite understood how it was made, assuming that it would be beyond my abilities and patience. How wrong I was! How simple it is! It’s sweet, it’s tart, it’s incredibly versatile and the colour is so very joyful. 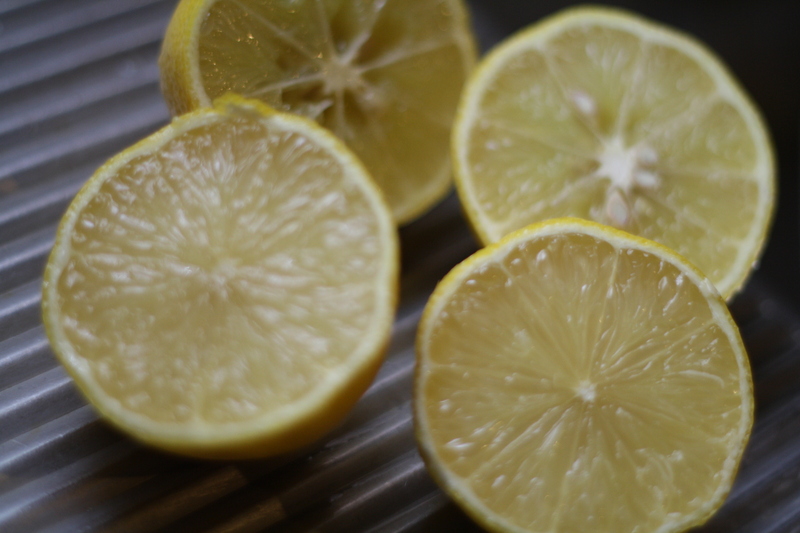 Make yourself a little jar of sunshiney lemon butter today! Place first five ingredients in a saucepan. Whisk to combine, then add butter. Whisk continually over medium heat, for 7-8 minutes or until butter is melted and the mixture coats the back of a spoon. Look for a thickened, dollopy consistency that won’t dribble out of a pastry shell. Remove from heat and allow to stand for five minutes. That’s it. Once it cools you can store it in a jar or put it to work in a treat or dessert. There’s something quite retro about lemon butter, and yet a citrusy dessert always tastes fresh and modern. 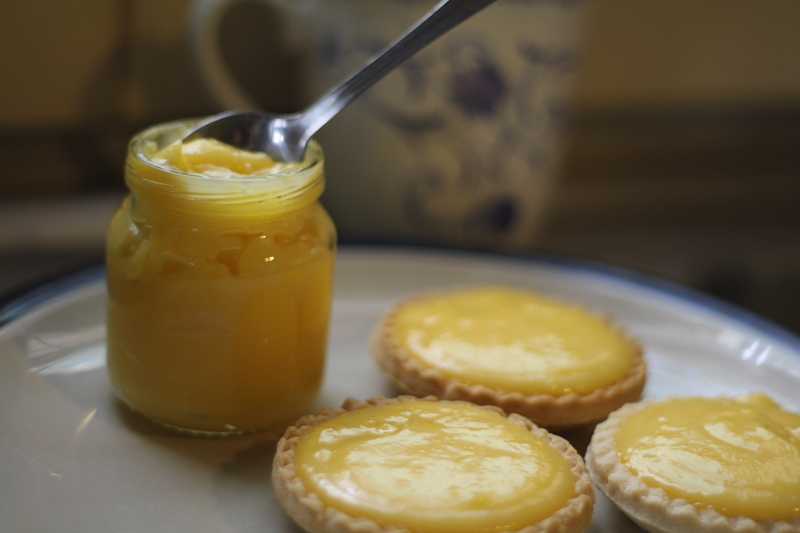 Keep a jar of lemon butter in the fridge to make mini tartlets with store-bought shells for an impromptu afternoon tea with friends, or just to spread on a pikelet or eat by the secretive spoonful late at night.